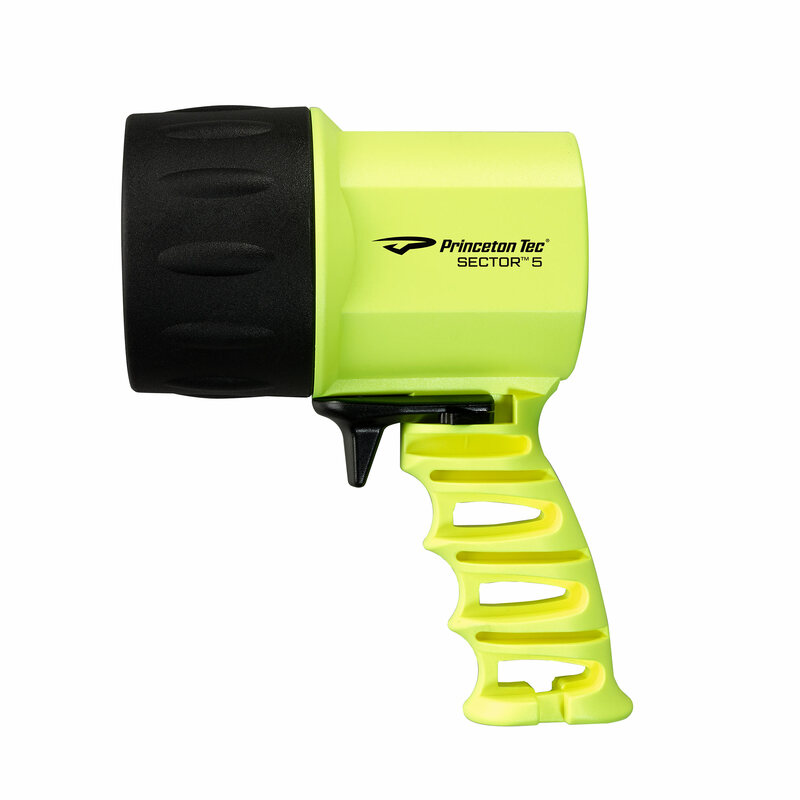 Sector 5 is a pistol grip light with a super bright 550 lumen LED, activated by an easy to use trigger switch with lockout. 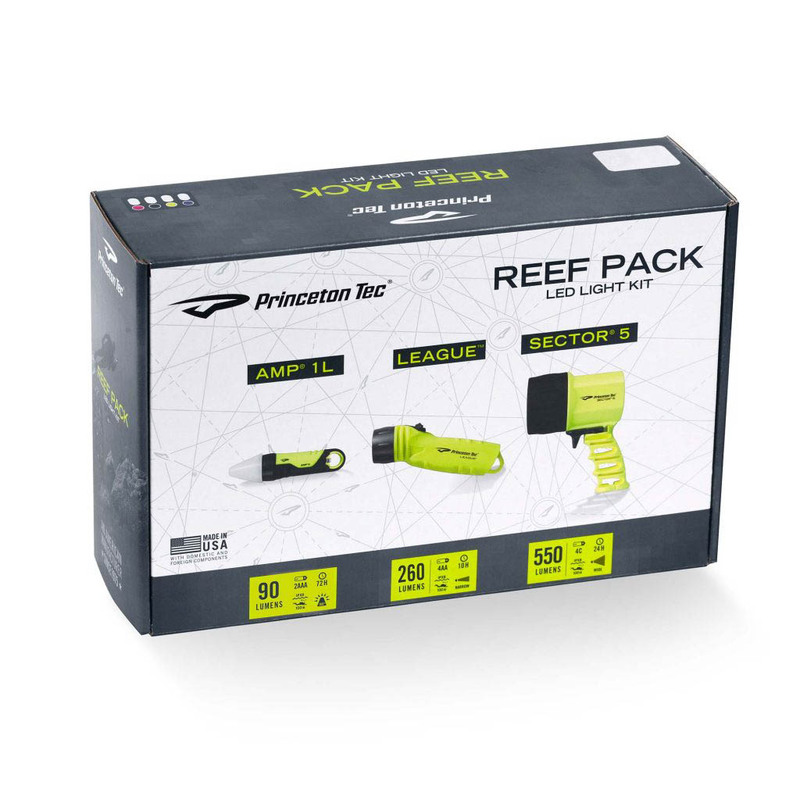 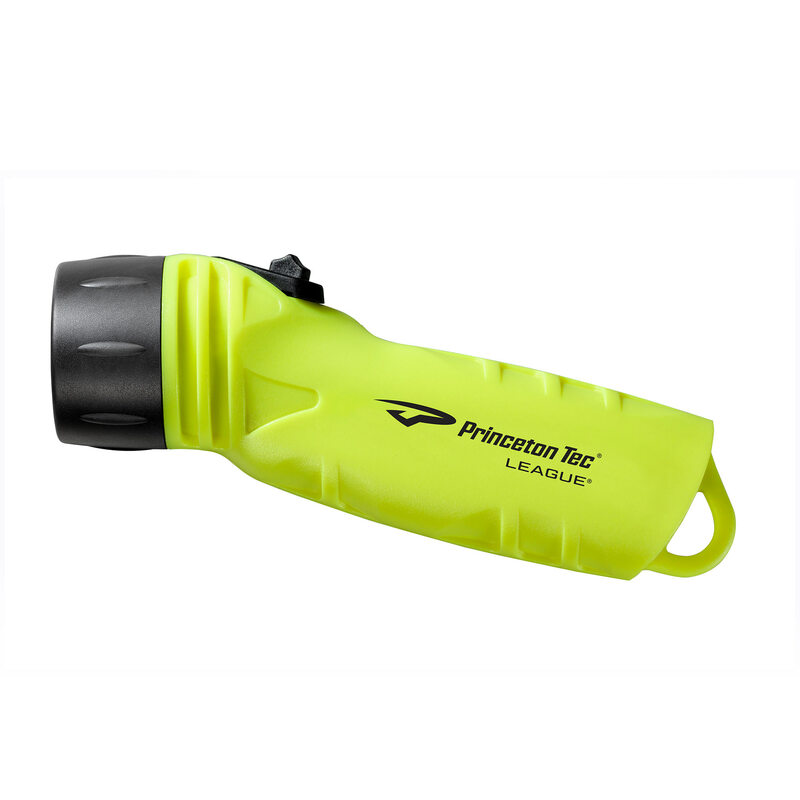 League is the ergonomic handheld that puts out an impressive 350 lumens from four AA batteries. 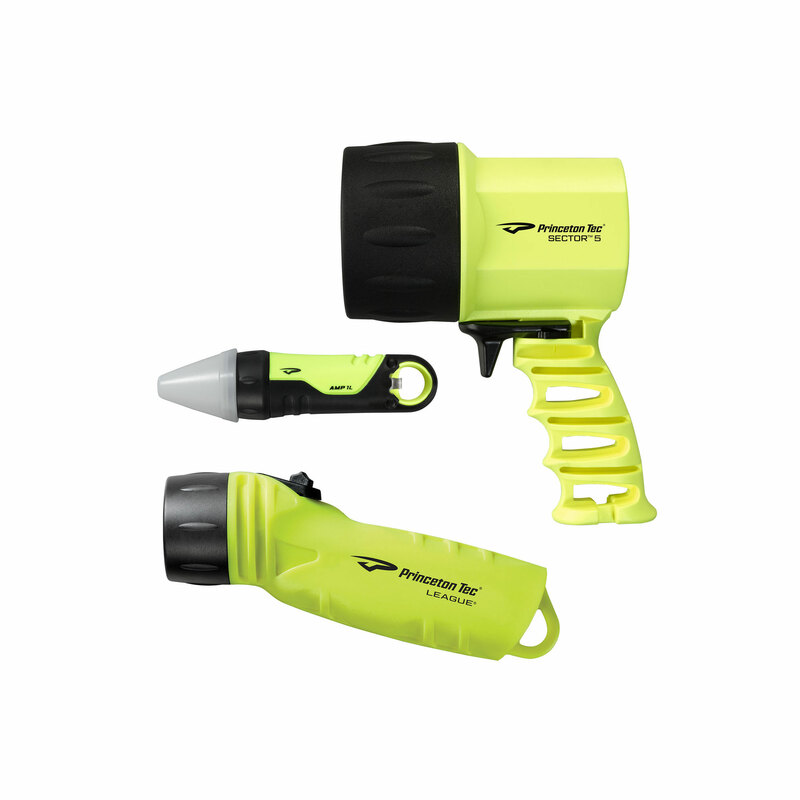 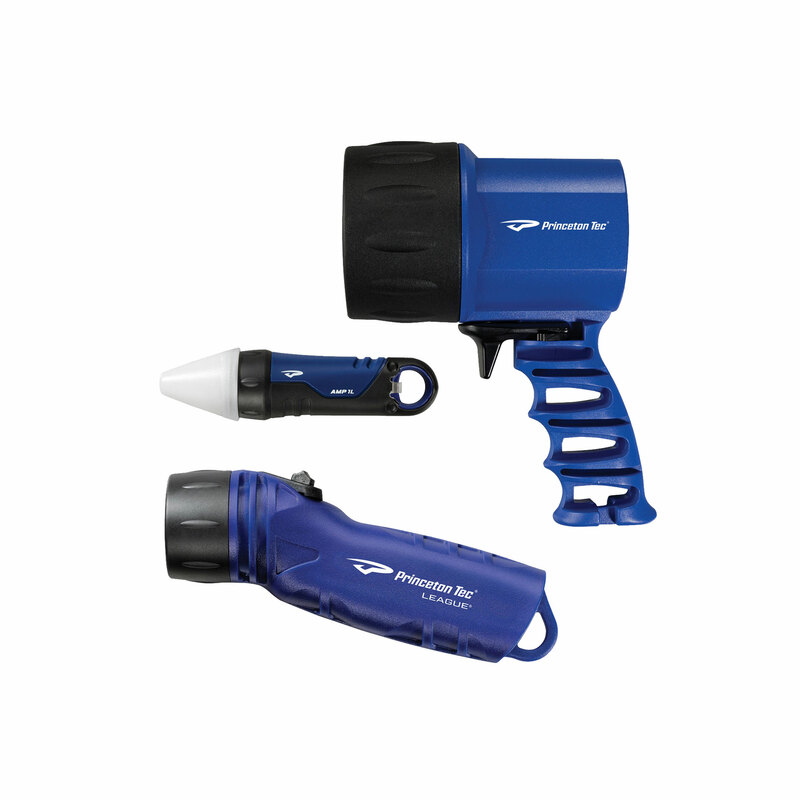 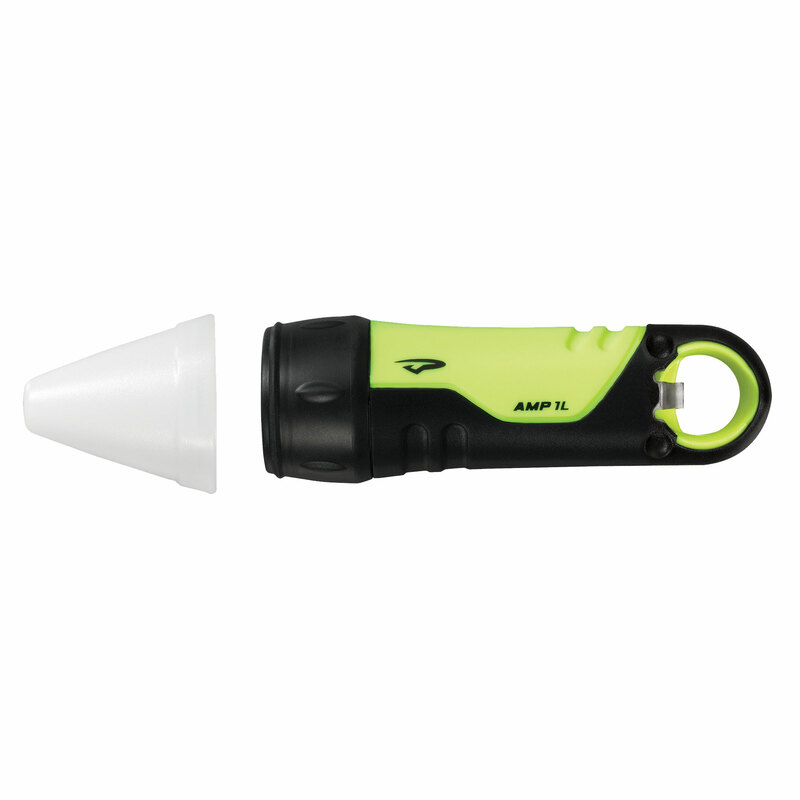 Amp 1L is the smallest light in the set, with a 90 lumen spot beam; snap on the included white cone to turn Amp 1L into a marker or area light.